Winners of the 2016 Royal Philharmonic Society Award, the orchestra has been celebrated as one of the most exciting ensembles to emerge in recent years. Started in 2011, they have presented extraordinary performances in unexpected settings like car parks and festivals creating amazing live classical music experiences performed by incredible musicians. 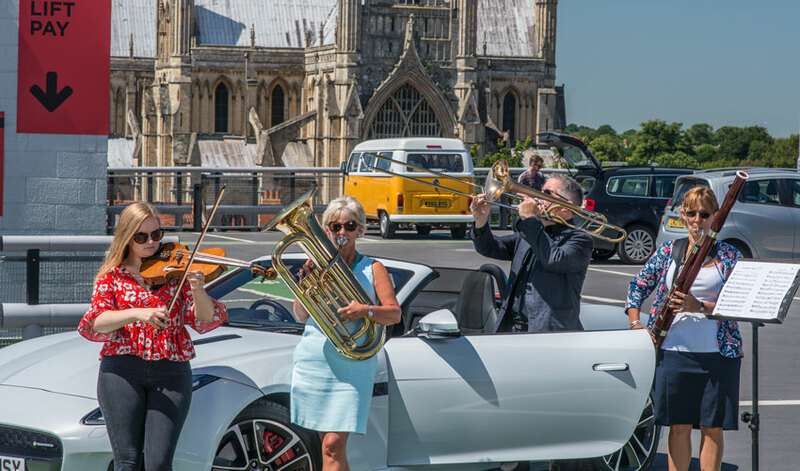 Proceedings will get underway with musicians spread across the car park, with the audience free to explore and get involved; finding out about the music and meeting the 60 piece orchestra, before everyone comes together for a full performance of Schumann’s captivating Second Symphony. The concert will mark the return of the RPS Award- winning Classically Yours, after a successful funding application to Arts Council England which secured funding until March, 2020. The next phase of Classically Yours builds on the work with orchestras, promoters and local music partners in the coastal areas of Bridlington and Withernsea, targeting those least engaged in cultural activities and developing new audiences for orchestral music activities.